We are proud to introduce the first edition of the new monthly Roctopus Dive newsletter! There will be a new edition each month, informing all Roctopussi’s and Roctopussi’s to be of current news and monthly deals at Roctopus Dive. New stories, big news, specials, pro and speciality deals, photo’s and more will feature each month. If you have any cool pics, stories, reviews on your time at Roctopus, feel free to send to us and you may feature in the next edition. With been a quieter time of year Roctopus has still been punching out all courses and keeping ourselves busy and having a blast as per usual. This quiet time also meaning that we have been working on a few big projects that will make us even better as before. So projects as starting plan the build of a compressor shed, a new dive pool in construction at present and free diving is almost ready to take off again. More exciting news to come on these projects, watch this space. This month we say goodbye to a few of our long term instructors, as they take off to seek more adventures. These boys have been a great asset to the team and will be missed by all, thank you for your efforts and input into Roctopus Dive and best of luck good with your journey. So long Mick, Woody, Sam and Fergal, travel safe. With a turnover of crew happening as of late, Jay and Westy have been constructing an awesome professional Roctopus Dive team. 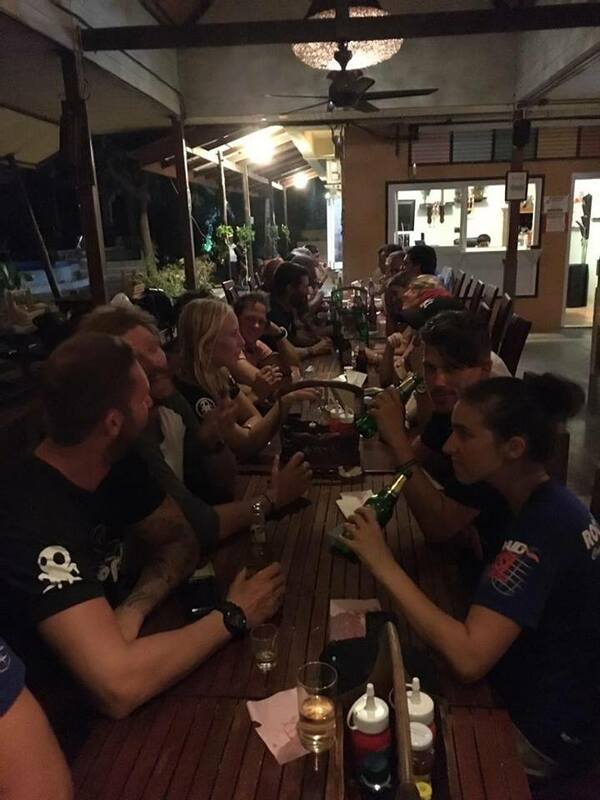 This brings a few fresh faces and excited instructors and divemaster joining our dynamic team to get ready for the coming high season. 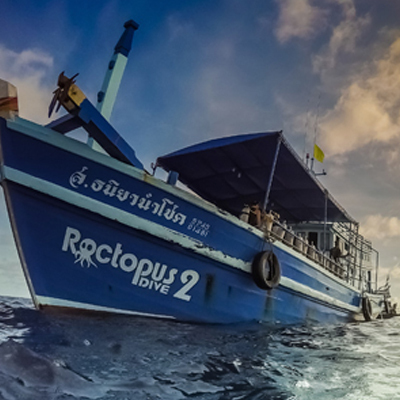 On the 8th July 2011, Roctopus Dive first opened the doors, since then we have grown beyond our belief and expectations. We were very excited about the party this year, as we have come a long way in 5 years and very happy to be where we are. 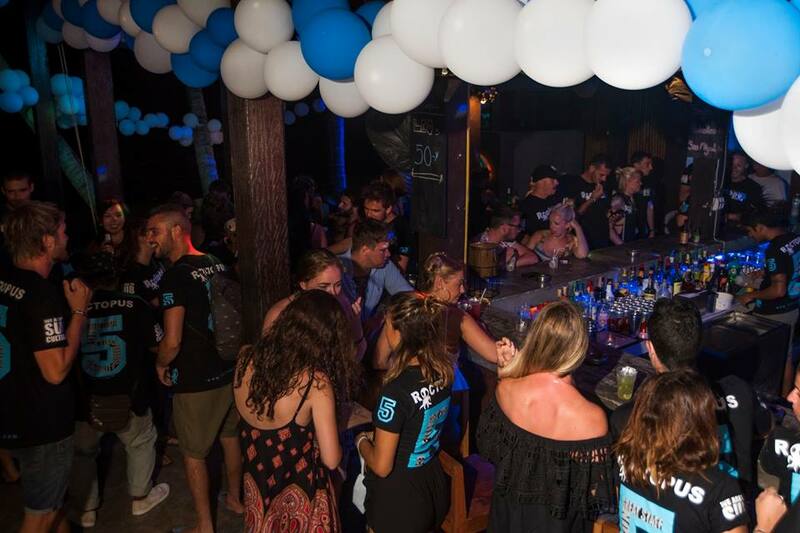 It was a great night with all crew, customers, island friends and family showing up to celebrate. Thank you all that came and to those that have been involved, worked or dived with us and support Roctopus over the years. Here’s to another year of Roctopus Dive!!! The experienced team at the Rocto Pro Centre having been rocking it out this year, with plenty of work to keep them busy. With the ability to teach most specialities, Pro level courses and Tech and sidemount courses the boys have been having candidates signing up every day for the awesome programs they provide. We have been working on ways to increase value to all the courses, this month we trailed out an event for all the DMTs and mentor team. 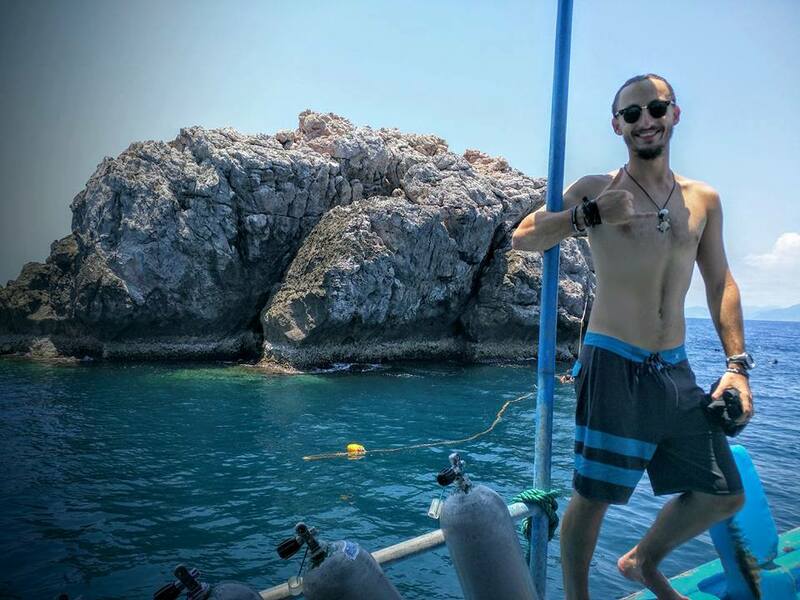 Becoming a dive professional truly is a dream job. Working in tropical locations, meeting people from all over the world and, best of all, getting paid to go diving! 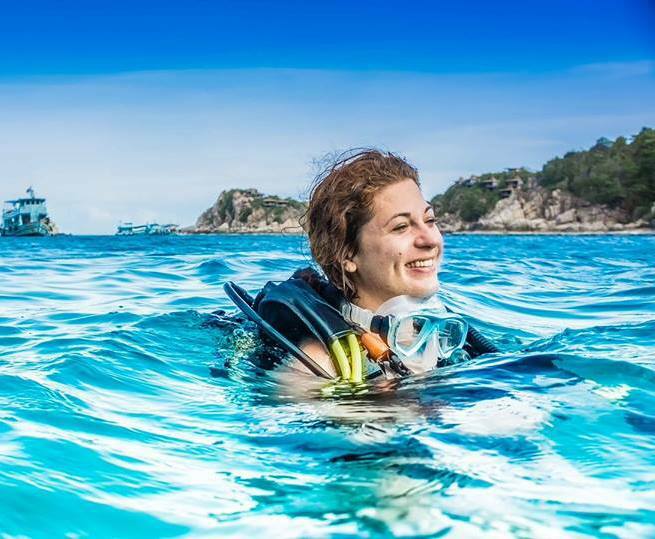 The entry level professional diving course is the Divemaster Course. 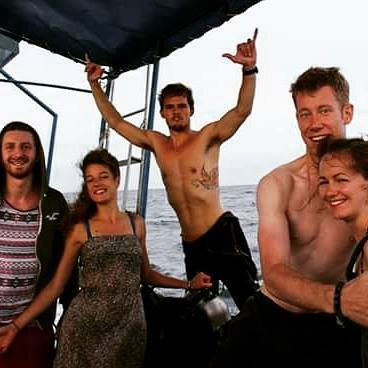 It’s a 2-3 month internship where you learn the workings of the diving industry, master underwater skills and learn what it takes to lead certified divers on dive excursions. 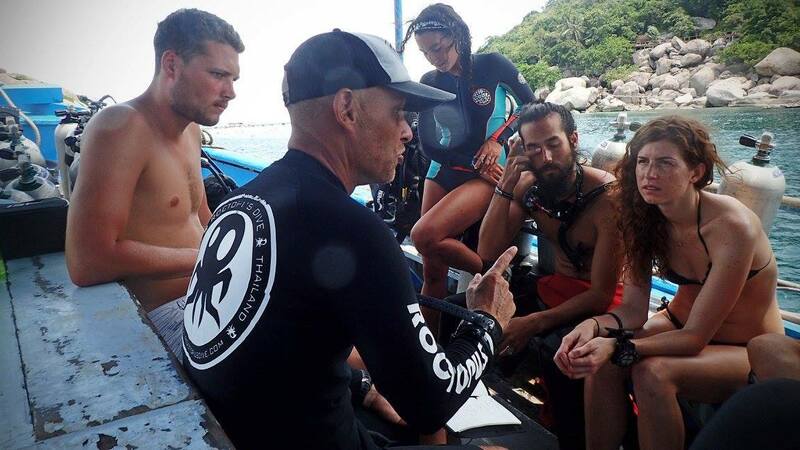 However, probably the most important part of the course is assisting instructors as they teach diving to people who have never dived before. 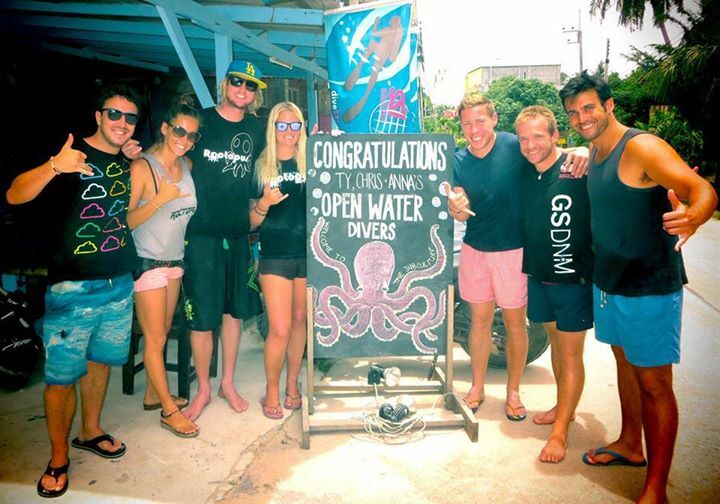 Divemaster Trainees (DMTs) are a big part of the team and they play a very active role in the teaching process. At the same time, they learn tons by assisting our instructor team who have years of experience in the industry. 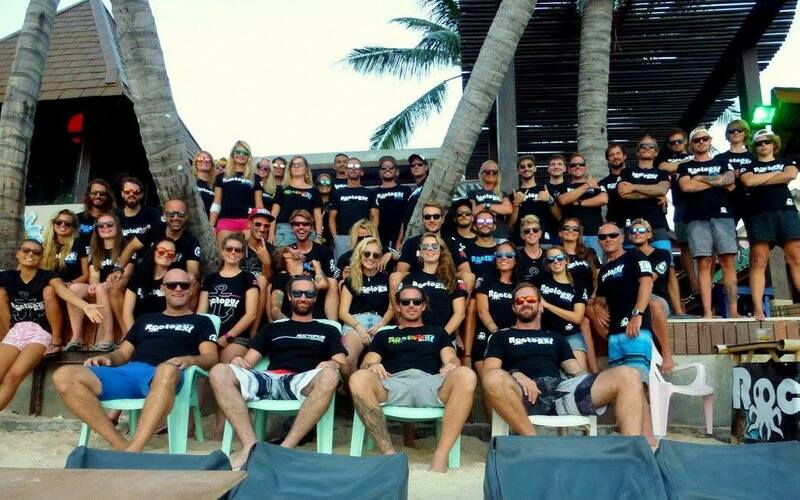 At Roctopus Pro, we take this a bit further by giving each new Divemaster Trainee a mentor. The mentor is an experienced dive professional who can guide the trainee through the process. This gives a more personal touch as the DMTs are learning, and it gives them someone they can go to for advice or to just get a beer or dinner with on occasions. We recently had a big influx of DMTs joining us at Roctopus Pro, so we came up with the idea to have a dinner where the new DMTs could meet the senior instructing staff and decide whom they would like as their mentor. To take it a step further and make it fun we took a “speed dating” approach where the dmts sat on one side of a long table and the mentors on the other. Every 7 minutes, all the mentors stood up and shifted chairs. This way, everybody got to meet everybody else. It’s was good fun and everybody got put with a mentor that they liked in the end.